I’m collaborating with a young colleague who’s compelled me to think outside the box. 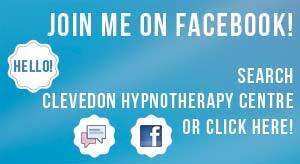 When I studied to become a hypnotherapist several years ago the emphasis was on technique and emotional understanding. While it was assumed we would run a business, there was little or no preparation for the short term or long term aspects of running a business. I believed that as long as I was honest, thorough, confidential, consistent and effective the “business” would follow. To a great extent this remains true. Seven years ago I wasn’t asking myself how many paying clients I would like to see per week, how many locations would I maintain, how many colleagues I would mentor, how would I maintain maximum exposure in every medium. Without lapsing into excuses, the Great Recession meant I held onto my business without the luxury of looking too far ahead. During the Great Recession my horizons diminished, but I prevailed by the very methods described above. Now I’m ready to move forward. I’m excited by the possibilities. The limits, if there are any, are imagination, hours in a day and endurance. I feel as if I’ve emerged into daylight having travelled through a tunnel of apprehension and economic uncertainty. Providing therapy and running a business. Two aspects of the same impulse. One enhancing the other.